Board of Intermediate and Secondary Education DG Khan is responsible to hold matric class annual exams in the affiliated schools and prepares SSC class annual exams. DG Khan Board 9th class result is announced few days earlier the announcement of BISE DG Khan 10th class result. 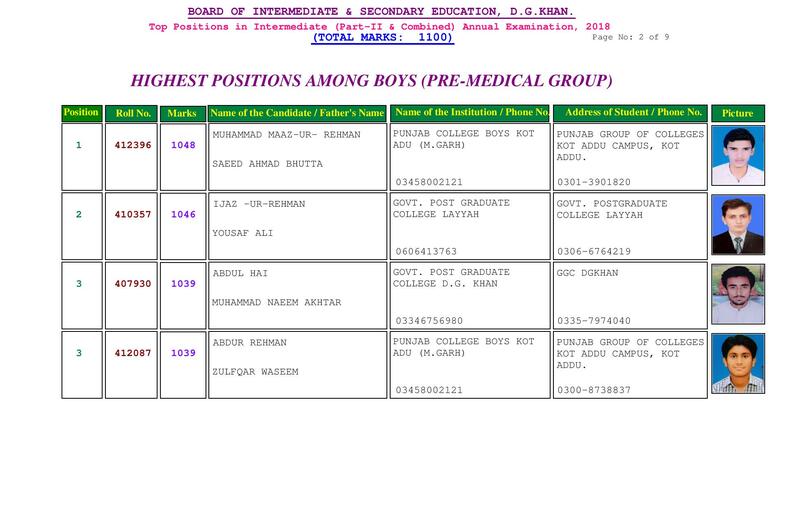 The students can pass DG Khan Board SSC-I class annual exams, they move to next higher class while the students passing the exams of DG Khan Board SSC-II class result, they get admission in the colleges to carry on their education in intermediate class. 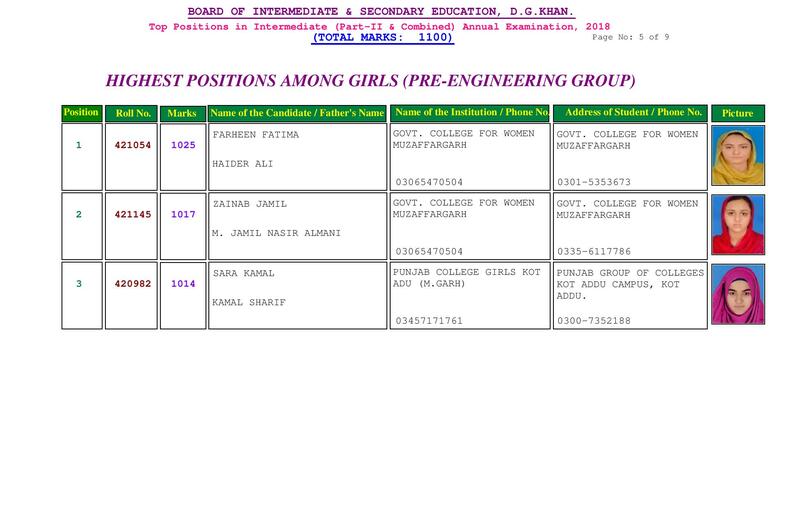 DG Khan Board metric-I result is provided with this page and it is uploaded after the declaration of annual exams of BISE DG Khan Board SSC-I class result. The students know the detail of important students of metric class, who gain highest marks in the BISE DG Khan Board metric class result. 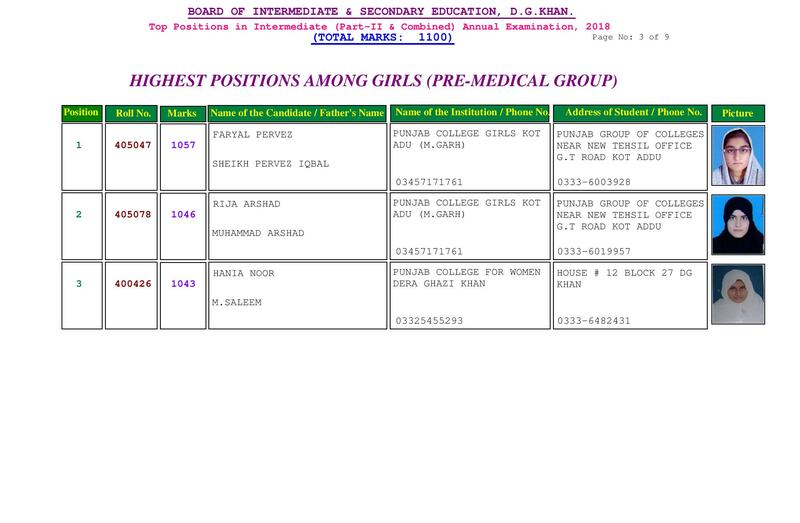 The students should check their DG Khan Board 10th class result from this page to get the latest updates of the annual exams.